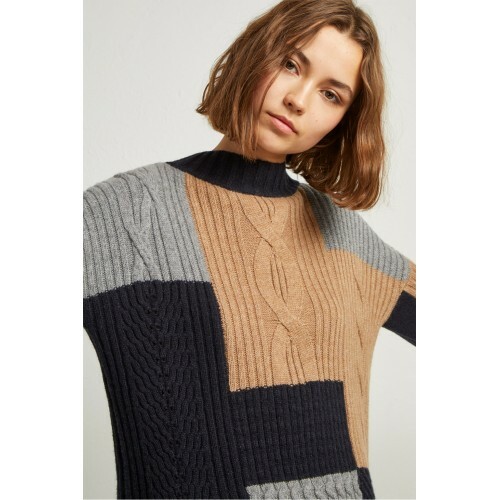 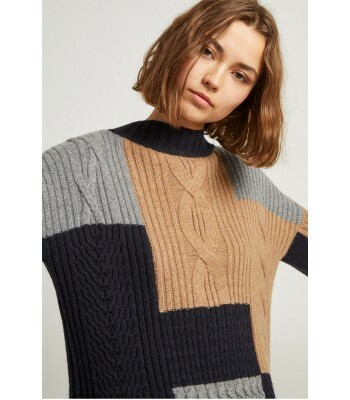 Updating classic knitwear this season is the Amie Patch High Neck Jumper. 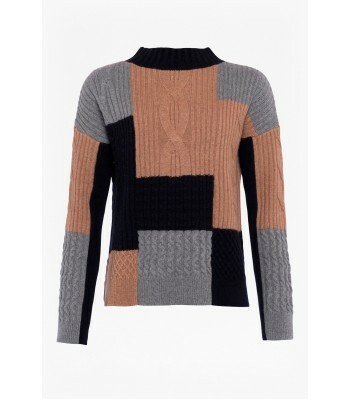 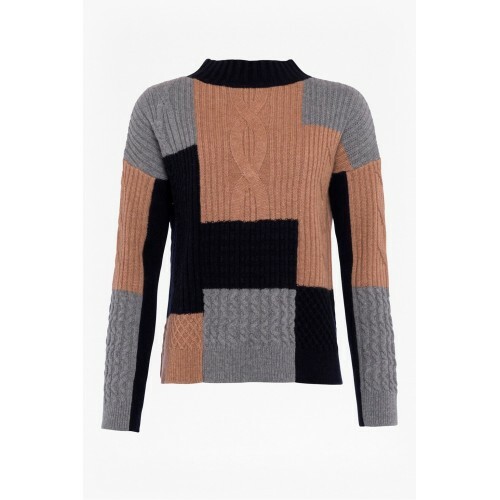 The loose-fitting knit features a patchwork design blending blocks of colour and contrasting knit patterns. 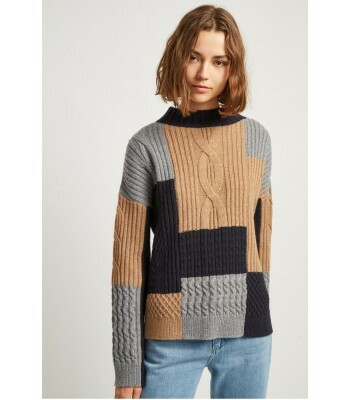 Layer over cotton t-shirt and jeans for cosy off-duty style.